A visit to the dentist can be quite a scary experience for little children. The reason for this is that many children get confused and frightened of places and people they have never seen before. Parents do their best to get rid of the fear that their children face. However, overcoming this is only possible when a dentist does their job as well. Handling little children can be a tough job, but any good pediatric dentist should have no problem at all accomplishing it. One of the most important qualities to look for in a pediatric dentist is their behavior towards children. To find this out, you can check previous customer reviews and a history of the dentist’s patients. Pediatric dentistry is a field that requires patience and calmness to handle children who have really dynamic behavior. If you are a parent yourself, then you might be familiar with the concerns that go through your mind whenever you take your little ones for any medical treatment. When it comes to dental care, you should look for a dentist who responds to your concerns and assures the safety of your children. A good pediatric dentist should always be prepared to deal with all kinds of children. They should create a child friendly environment by changing their tone when talking to children so that the kids feel comfortable. They should assure the children in their own way that nothing will be painful or scary here and they are just here to get their teeth examined. 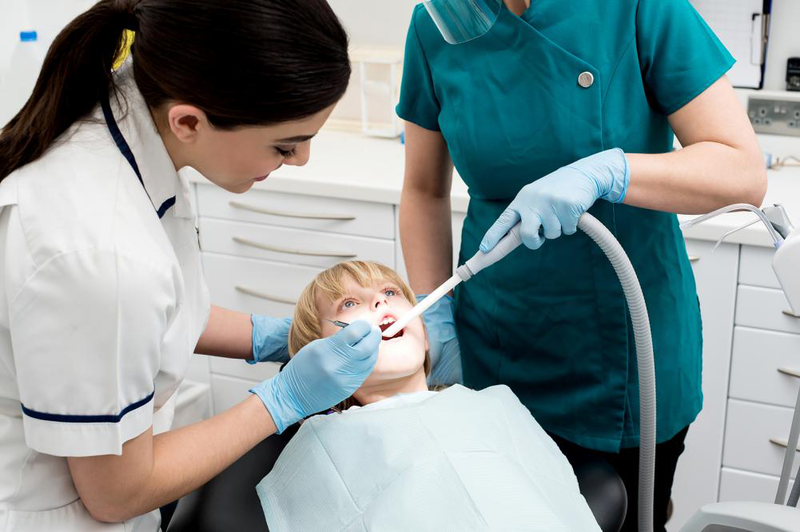 This way the kids will develop a trust with the dentist and it will be much easier to deal with them through the entire process. An excellent pediatric dentist should have a vested interest in improving the oral health of children. A good dentist should engage with parents by educating them regarding the dental care of their children. They should also explain methods and habits to improve the health of the children’s teeth in a detailed manner. If you are searching for the best Pediatric Dentistry Aldie VA, then Springs Stone Dentistry is the place to go. We offer all kinds of dental health care services for people of all ages.